In large soup pot drizzle olive oil. 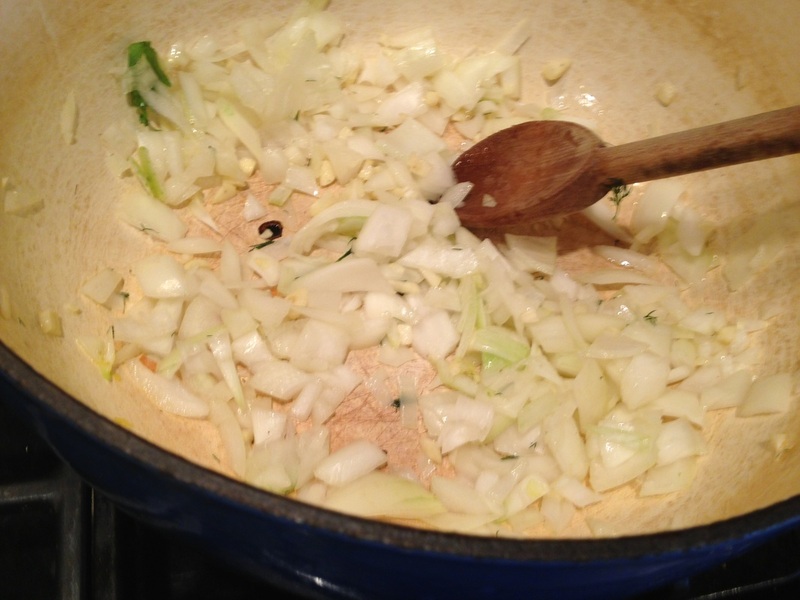 Add garlic and onion and sauté on low for 5 minute turning over a few times. 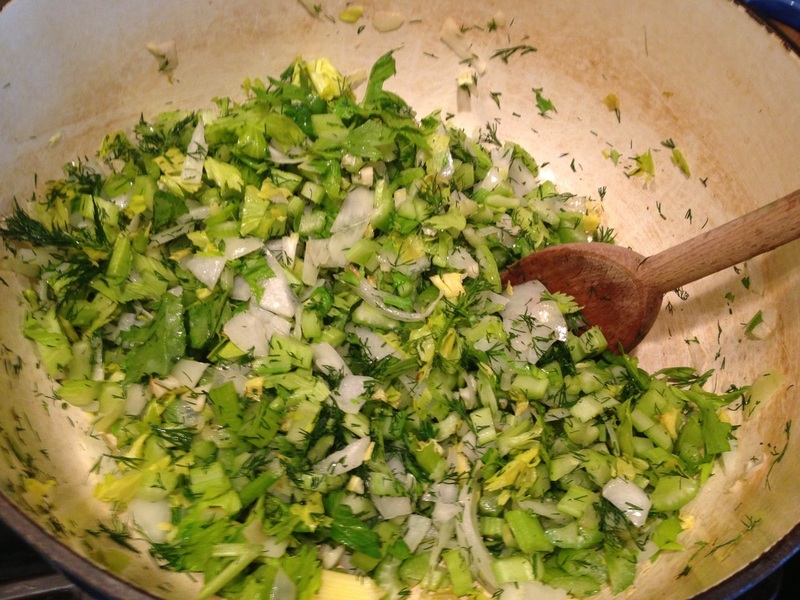 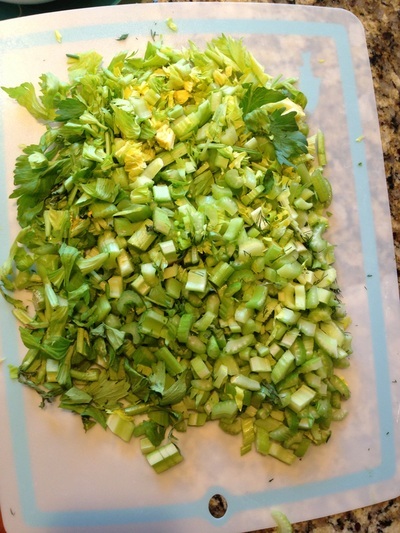 Add celery and continue to sauté for a few more minutes. 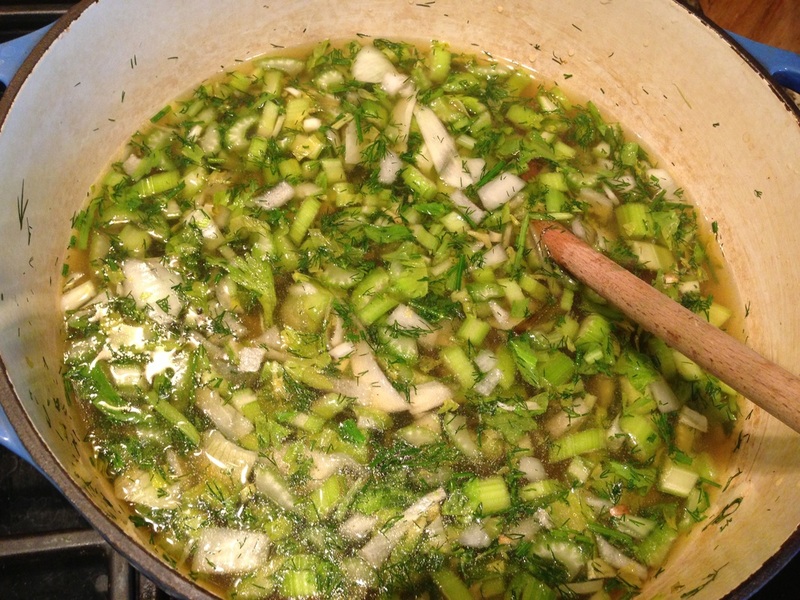 Add in dill and broth. 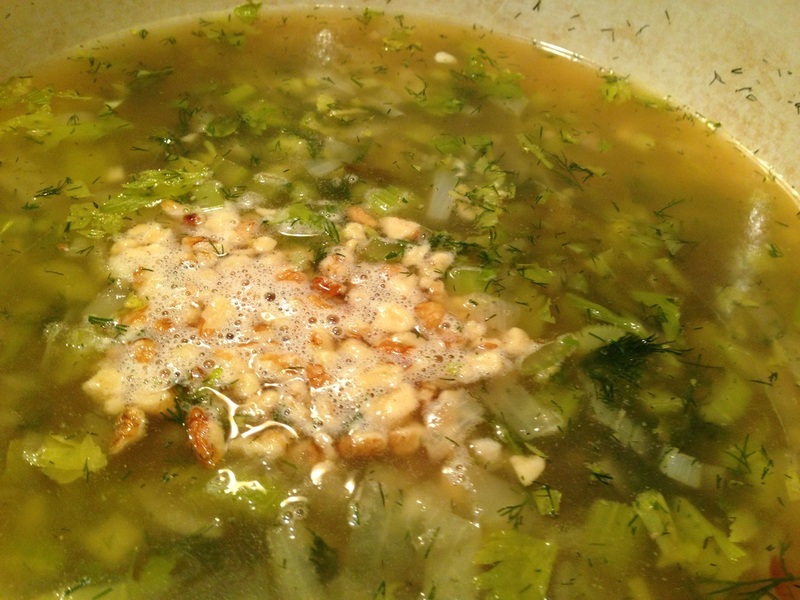 Bring soup to medium until it gets to a soft boil and turn down to low. 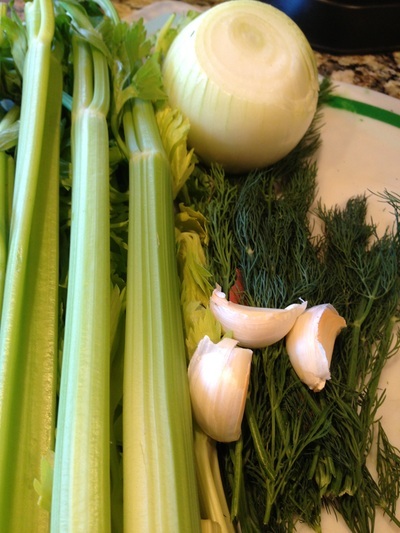 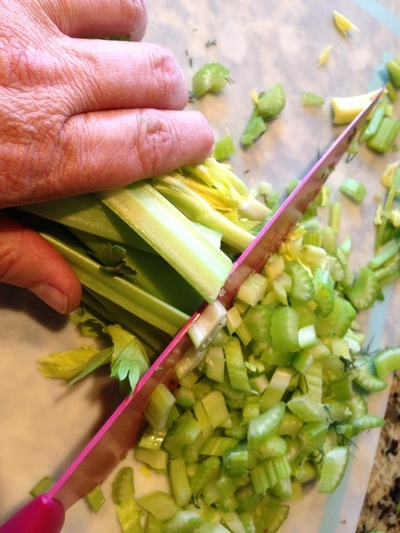 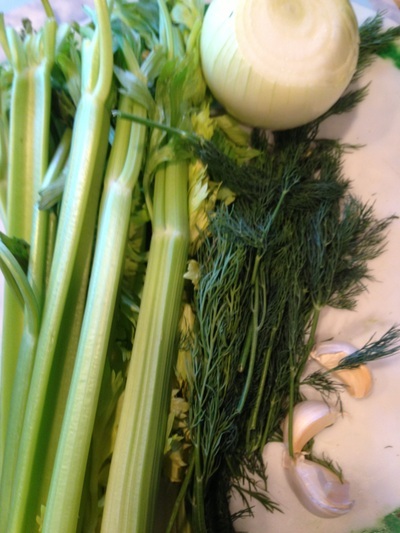 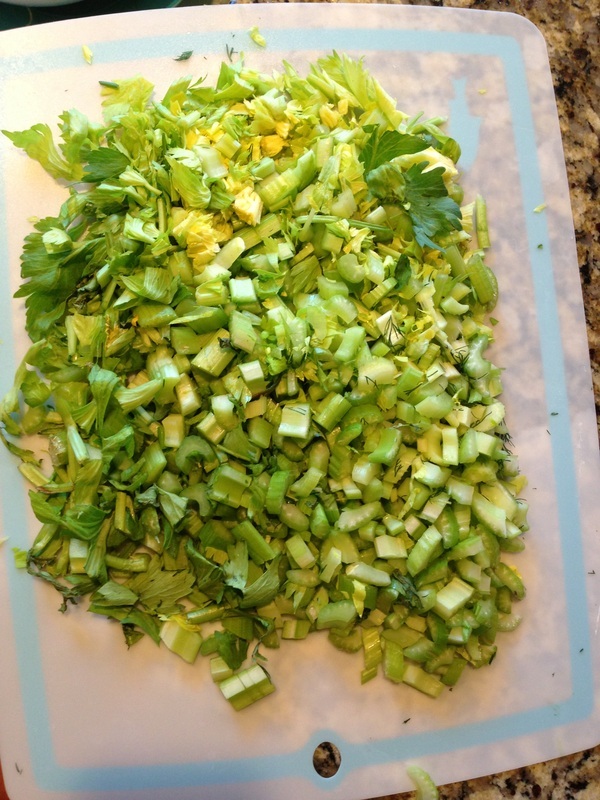 Cook for 20 minutes or until the celery is fork tender. In separate fry pan place walnuts and continue to move walnuts around in pan until toasted on all sides. 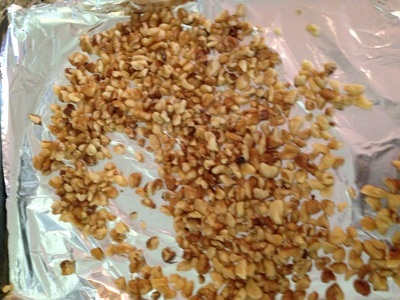 Watch nuts carefully so they do not burn. 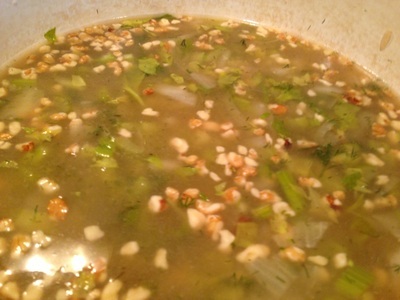 Walnuts should be in pan only a few minutes. 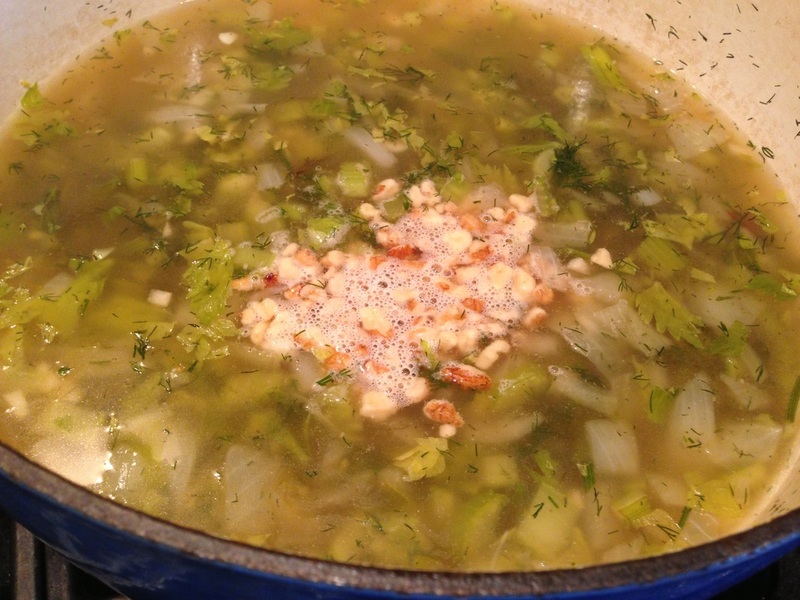 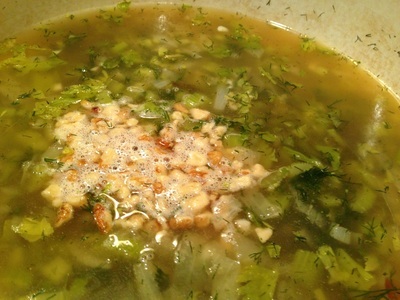 Add toasted Walnuts to soup and salt and pepper to taste. Taste soup and adjust seasoning. 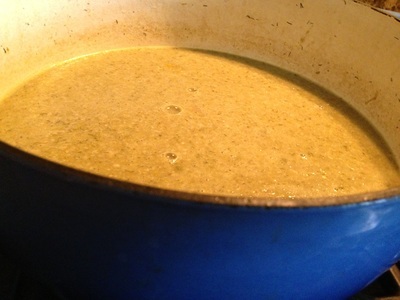 Allow soup to cool. 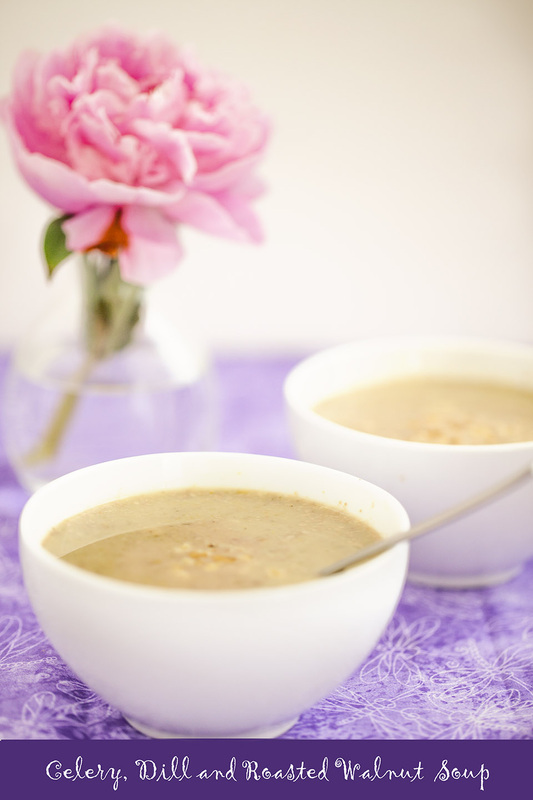 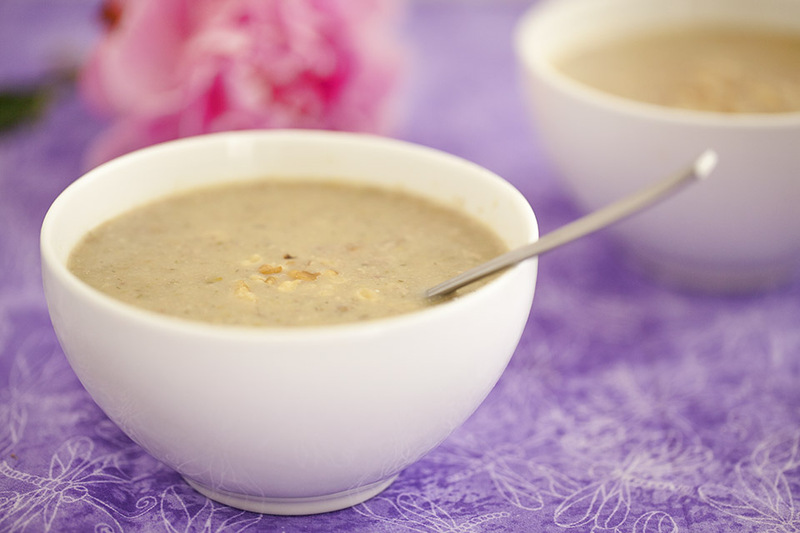 Using a hand blender, food processor or blender puree soup to a creamy blended texture. 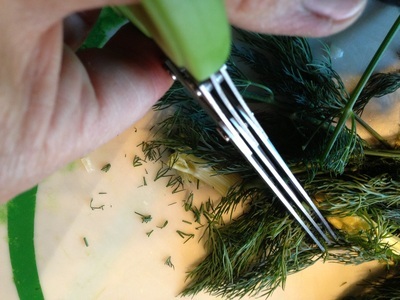 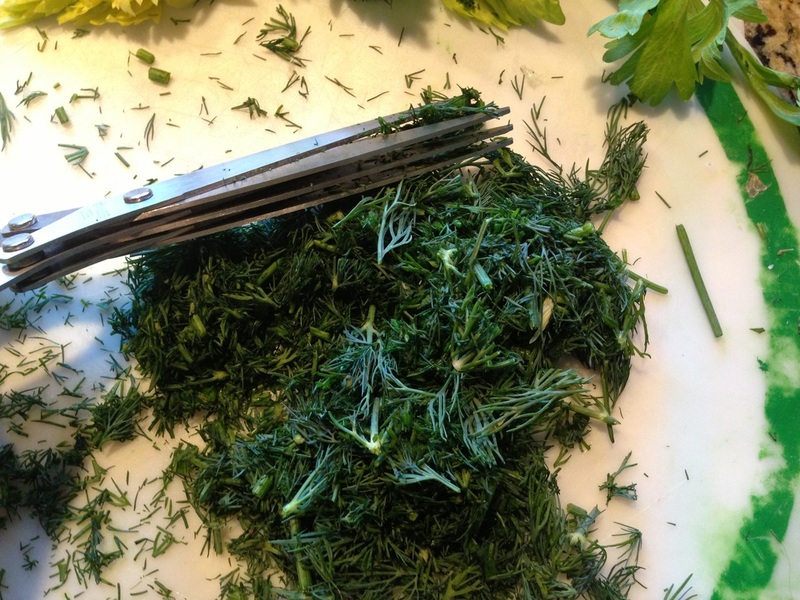 Serve warm or cold with a garnish of fresh dill and a few walnuts. 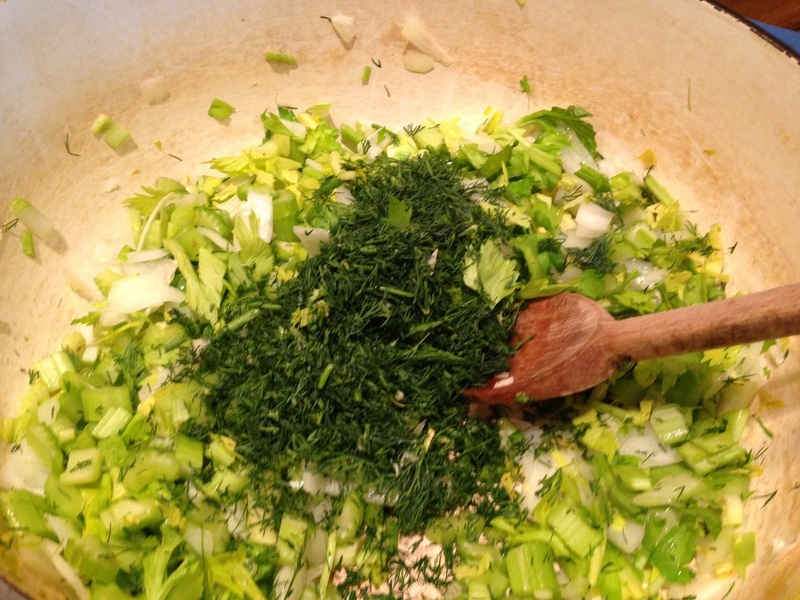 Don't you love trying new ingredients! Toasted walnuts are so delicious in soup.